11 1/8 L x 8 1/2 H x 2 3/4 W in. 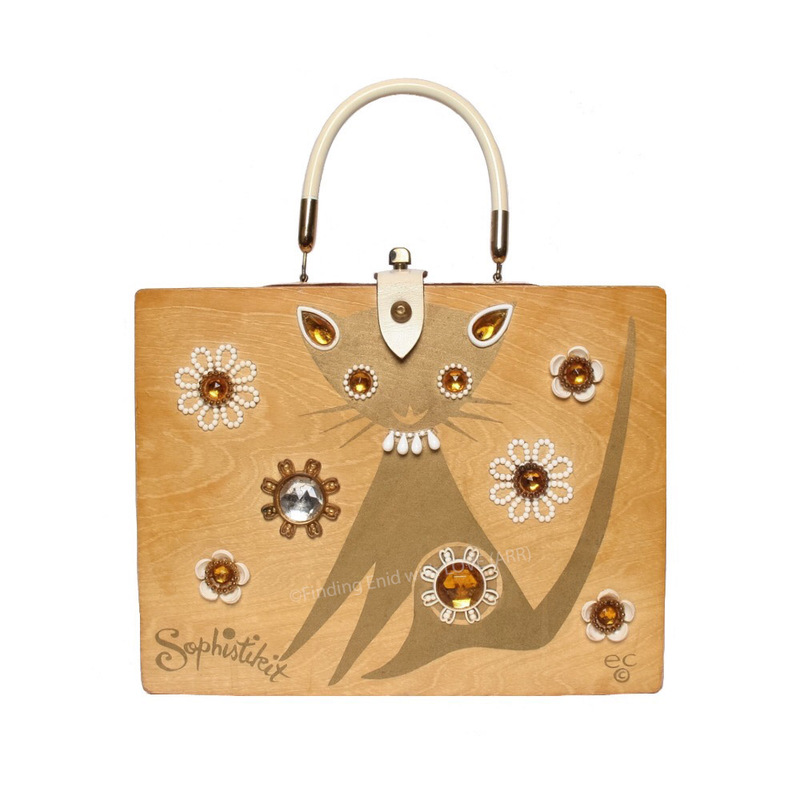 Box purse depicting a Siamese-like, stylized cat screen printed in metallic gold and decorated with Topaz faux gems and white and gold embellishments. "Sophistikit" is screen printed in lower left corner. One of multiple variations on a theme very popular with Enid Collins and collectors. One of several designs on this fun theme.